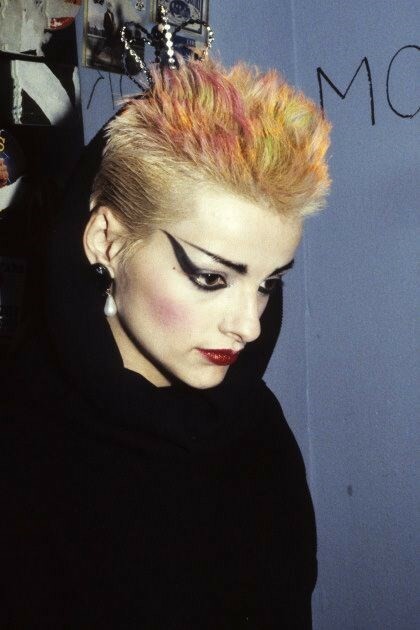 A consummate shape-shifter and risk-taker since her career commenced, German-born performer Nina Hagen has embodied countless characters over the past four-plus decades. 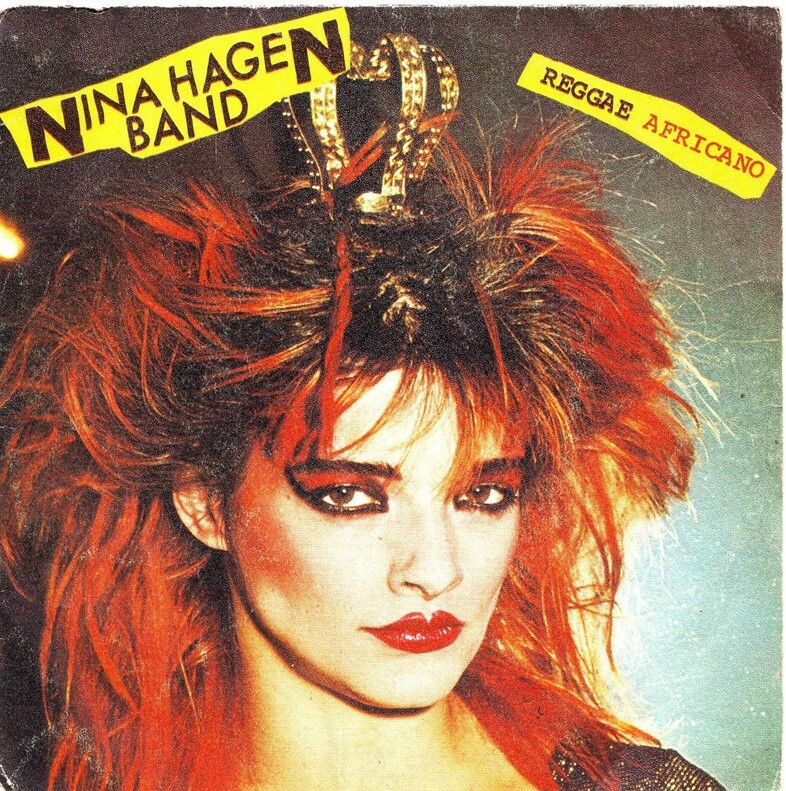 After her early dreams of an acting career were thwarted by the Communist state, Hagen took a musical turn, eventually forming her namesake Nina Hagen Band in West Berlin’s Kreuzberg district in mid-1977 and shocking audiences with her shrieks, shouts, and snarls about taboo subjects. Along with her vocal abandon, she famously experimented with her on-stage look, rarely shying away from looking outlandish, eccentric, or even downright creepy before audiences in Germany and beyond. 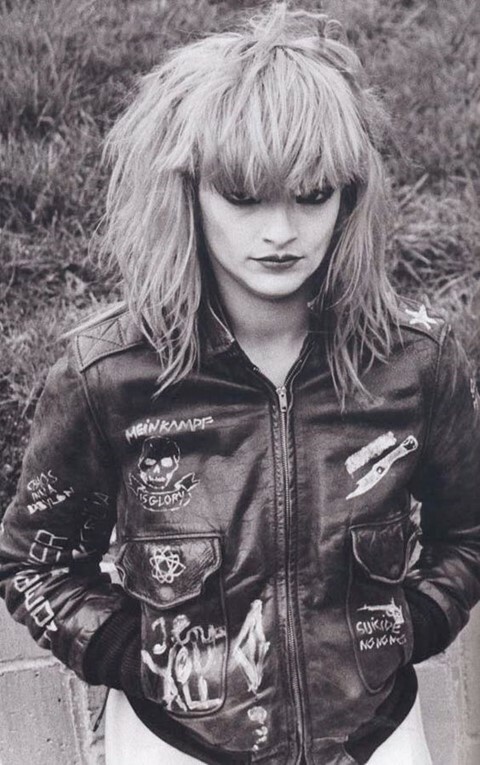 Indeed, Hagen proved herself a deeply influential figure within Germany’s nascent punk scene, eventually making her way to New York to pursue a solo career and to Paris to collaborate with fellow aesthetic rebel, Jean-Paul Gaultier. Today AnOther conjures this queen of personal reinvention and celebrates her lasting marks on music, fashion, and so much more. It’s not easy to pin down a thorough line in Hagen’s personal style – unpredictability marked her every look. Whether donning electric-shocked red hair strewn with flower petals, thick eyeliner and metal studs, or a sky-high highlighter-yellow ponytail, villainous red lipstick and a white fur-trimmed leather jacket, Hagen frequently towed the line between the feminine and the macabre. At times, she resembled a real-life Elvira, Mistress of the Dark – with a soft side. Subtlety was not a key concern when pulling together her looks for performances and video shoots alongside her musical collaborators: her go-to colour palette ranged from fuchsia to aquamarine, while her preferred patterns included pinstripes and leopard. In 1989, Hagen connected with the similarly irreverent French haute couture designer, Jean-Paul Gaultier. For Street, Hagen’s fifth studio album released in July 1991 featuring songs in both German and English, she even commissioned Gaultier, along with British punk fashion maven Vivienne Westwood, to design the three different outfits she wears on the cover. No matter how she adorned her body, the common denominator throughout Hagen’s sartorial life lay in her openness to fashion’s theatrical potential. She used clothing as a means to channel characters outside of herself, whether playful, sensual, regal, or hair-raising. Born in 1955 East Berlin and raised by her mother, a film and TV actress named Eva-Maria Hagen, and stepfather, singer-songwriter Wolf Biermann, Hagen rebelled against the confinements of her Communist surroundings from an early age. By 1974, she was already singing with a group called Automobil, and famously released her hit single with them in 1974, Du Hast den Farbfilm Vergessen (“You forgot the colour film”). The song’s seemingly harmless lyrics – centred on a girlfriend annoyed at her boyfriend for forgetting to pack colour film for their vacation – veiled a politically charged meaning aimed at the sterility of the Communist state. Hagen continued to hone her powerful, genre-spanning musical style. Upon connecting with three likeminded musicians in 1977 – Manfred Preaker, Herwig Mitteregger, and Bernhard Potschka of the band “Lokomotive Kreuzberg” and composer Reinhold Heil – Nina Hagen Band was officially born. The band gained popularity over the next couple of years, primarily due to its highly charismatic, chameleonic frontwoman, before going their separate ways in 1979. Hagen, of course, only had more dreams to fulfill. From moving to the United States to record her music in English, to touring and performing in festivals internationally, and making her infamous appearance on an Austrian television show (during which she instructed scandalised viewers on the art of self-pleasure) Hagen caused a stir wherever she planted her feet. In 1981, Hagen assumed another new role: mother to Cosma Shiva Hagen, whose name was inspired by her alleged UFO sighting, and in 1990, to her son, Otis. Since embracing motherhood, Hagen’s politically aware, status quo-challenging approach to her art and activism has remained strong, whether it manifests in her boycotting a fur-filled fashion show with fellow animal rights activists, or speaking up for the homeless population. After having produced some 15-odd solo albums­­ – most recently Volksbeat in 2011 – and hundreds of songs over the course of her career, penning three autobiographies, and even finding time to dub the voice of Sally in the German release of Tim Burton’s The Nightmare Before Christmas, Hagen, at 61 years old, shows no sign of slowing down anytime soon. Where her creative practice is concerned, Hagen has long maintained an acute awareness of the larger world beyond herself, and the ways in which her ability to be publicly seen and heard provides her with a valuable opportunity to elevate the voices and stories of others. She’s consistently demonstrated her embodiment of the punk ethos not merely in her penchant for donning leather, studs, and black eyeliner. Rather, it’s her fearless approach to making art decidedly her way that has kept her fans watching with bated breath for her next move – and it is also why she is undoubtedly an AnOther Woman.